“When I’m good, I’m very good. 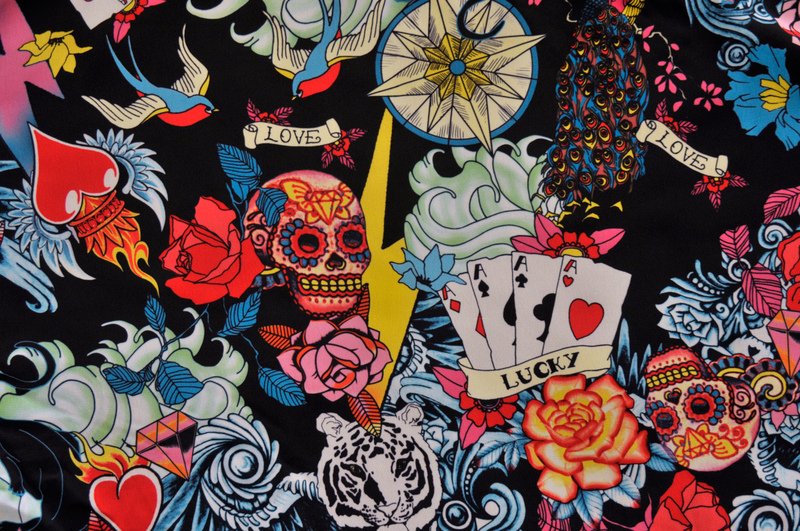 For the ballerina with a rock ‘n’ roll attitude. A wild collection of retro tattoos on black chiffon. Get Inked, be fearless and let your hair down! As skirts wrap around, one size fits most. ‘Short cut’ – shows off your legs beautifully and is suitable for children. ‘Long tail cut’ – tapered at the back and extremely flattering. 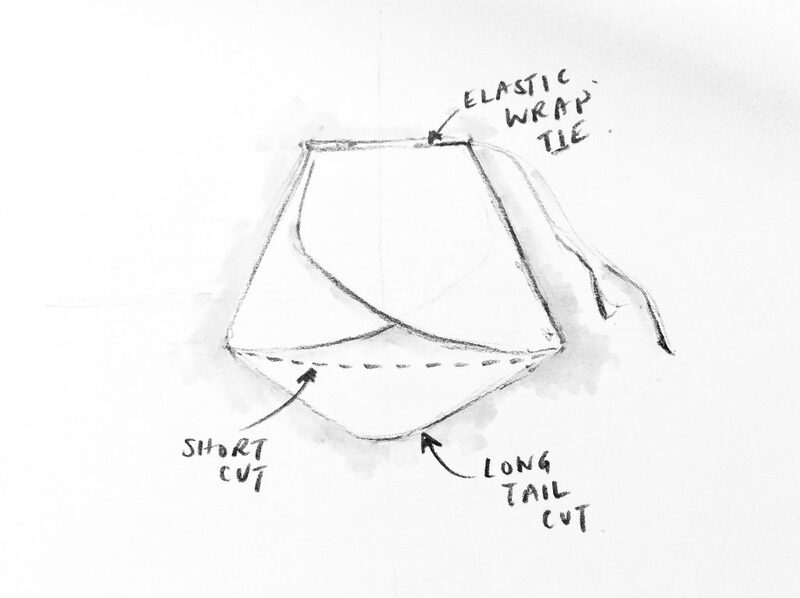 To see examples of how the skirts fit, please refer to our Instagram page. All skirts are made of high quality lightweight fabrics such as chiffon and georgette. The elastic wrap tie will ensure that the skirt sits comfortably and stays in place whilst dancing. Edges are roll hemmed for a beautiful finish. 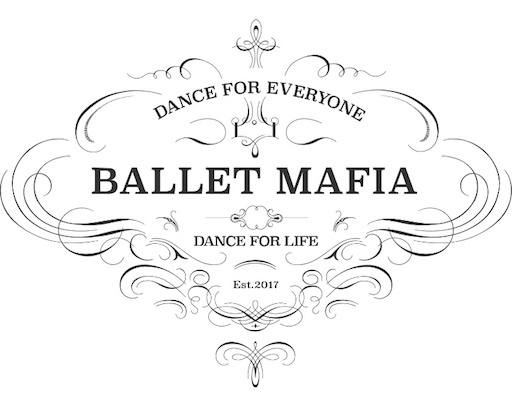 As our skirts are deliciously delicate they come with a stylish Ballet Mafia cotton drawstring bag to keep them safe in between dancing. Avoid rough surfaces that could snag the fabric. Hand wash in cold water using mild detergent. Lay flat to dry. If you need to iron your skirt always use a low setting. 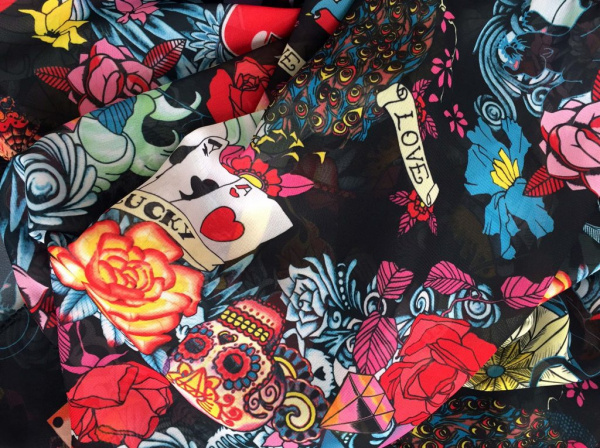 We have taken great care to ensure that the colours and prints are shown in the best possible way however, please be aware that colour variation may occur due to your current screen resolution. 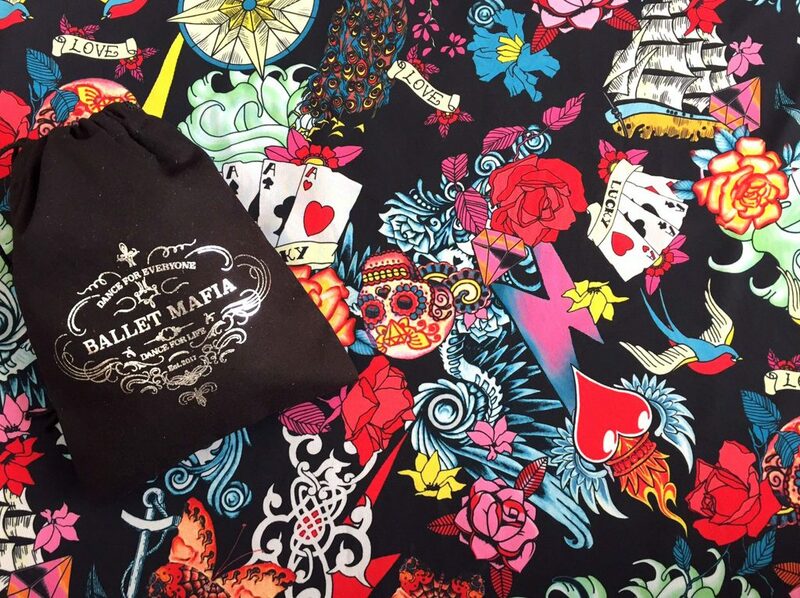 Each skirt is presented in a special Ballet Mafia drawstring bag and will be dispatched within 2-4 working days. Delivery times will vary depending on the shipping destination.